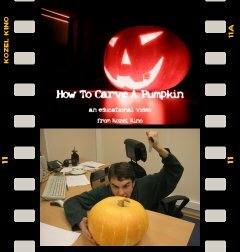 This very short educational video demonstrates the process of carving a jack-o-lantern out of a raw pumkin. Nothing extraordinary is happening in this movie and have we had ratings, this one would be suitable for children of all ages. 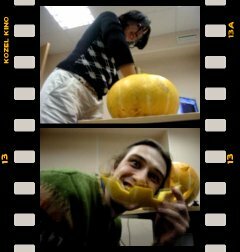 From this movie you can learn how to prepare a Halloween lantern step by step, set up the lighting and use it as a spook projector. Enjoy! please be merciful to server: download, then view!